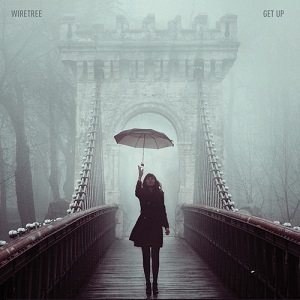 Wiretree was formed by Singer-songwriter Kevin peroni, initially as a solo project but it soon evolved into a full-blown band. Following the release of their 2005 debut EP, the band have released a new album every two years. Their latest album, Get Up, is released on 9th September. Musically it's Indie pop with some rock thrown in. There's plenty of variety in the songs, and it's got a nice fun feel to it, which makes it a very enjoyable album to listen to. The album kicks off with the title track - "Get up". Acoustic guitar and vocals work well together, and are joined by drums and keyboards part way through in this great start to the album. "Easychair" is short - less than a minute and feels more like an intro to "So bold" rather than a track in its own right. "So bold" reminds me of the Travelling Wilburys at a few points. It's a great song. It's a very good album - plenty of good enjoyable songs, but.... there's one thing missing - there's no song here that I can see being a strong single. It's one of those albums that if listened to as an album is great, but with more and more people buying individual songs via itunes and the like, then the lack of a "hit single" could harm them. Hopefully though people will listen to more than just one song and will see that the whole album is worth listening to and will buy the album. Also, at just thirty one minutes in total it's a bit on the short side - with most songs clocking in at around 3 minutes long I'd expect a couple more songs to take the album up to a better length. "Get up" will be released on 9th September 2013 through Cobaltworks music.